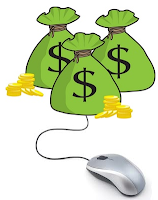 WEB TIPS: Something about PPC!! I'm just here to give to some precautionary measures during your whole journey of PPC process. To begin with, this thing is going to save you money in the long run. Make sure you avail it to the fullest; plan carefully. So, what you need to do is to make an impressive landing page for your viewers; it is a key factor of making them stay & like. It should clearly & attractively be mentioning what are you offering & why should they choose you over others. Most publishers are very peculiar about the things they advertise. If they find your ad to be unattractive or not very captivating for their traffic audience, they will simply remove it. Now that is a waste of efforts on your part, isn't it?? So, to avoid this thing from happening to your hard work, monitor the results of each of your campaigns & make amendments to them accordingly. Keep experimenting with the look & text of your ads to see which one gets the best response. Some people might not consider this a very good thing but believe me, it makes a big difference. While creating your ad, do put up an action-call, like "CLICK HERE!!" or "GO NOW!!" etc. It will actually compel the person watching your ad to go click on it; rather than just reading through your ad & moving on to others. Have a balanced sort of offers to be promoted in your ads. You will be spending a great deal of money on it, so you don't want any non-serious buyers to be the major portion of your traffic. Putting up loads of free deals will attract free-loaders only, but not putting up any discounted offers may make you loose your potential buyers. Be very very careful in your choice (just as Elmer Fudd goes, "Be vewy vewy quiet, i'm hunting wabbit...hahahaha!!"). PPC has several advantages of marketing, you are only required to have a keen observation to notice them & make appropriate settlements for them. So GOOD LUCK with your PPC! !